Providing Expert Lawn Care to Aurora, Parker, Castle Rock, Castle Pines, Highlands Ranch, Lone Tree & Surrounding Areas. 6 Secrets to a Lush, Green Lawn! 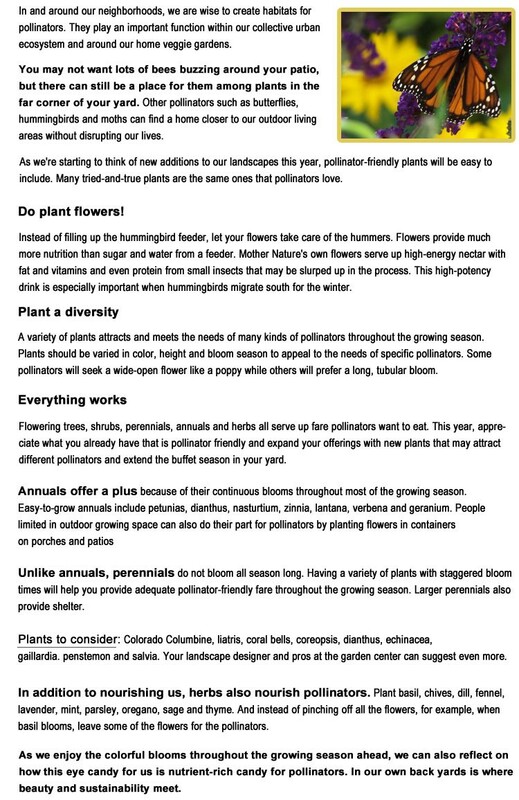 Planting diverse flowering plants— be they annual, perennial, herbs, shrubs and trees at the right time is important to attract pollinators and maintain a suitable habitat for them. This not only helps people make their lawns or veggie gardens rich and refreshing but also provide a plethora of benefits and make gardens an eye candy for all.